For those unknown to the traveling show Corteo by Cirque du Soleil, the theatrical marvel depicts the life story of Mauro the clown dreaming about his funeral. Upon being seated, guests will be charmed by the center stage: raised right in the middle with audiences sitting on both sides. Being able to see directly, from one side to the other, the seating creates the sense of intimacy, proving a romantic reminiscent feel of the circus no longer seen. During the show, guests travel through some of the greatest moments in Mauro’s life and childhood with the help of multiple acrobats. The show was light hearted and filled with humor, drama, fascinating acrobatics and gorgeous costumes. Perfect for adults and kids to enjoy. 51 performers full of happiness and laughter were contagious, keeping audiences engaged throughout the various numbers. The singers and musicians brought guests a musically driven theme of emotions well produced for each presentation. From start to finish, there are various segments and acrobatic arts that really stood out including the “Bouncing Beds”, acrobats hanging from chandeliers, juggling performers, “Duo-Straps”, a dancer on a moving yet suspended pole and the grand finale of “Tournik”: portraying a final farewell to Mauro. 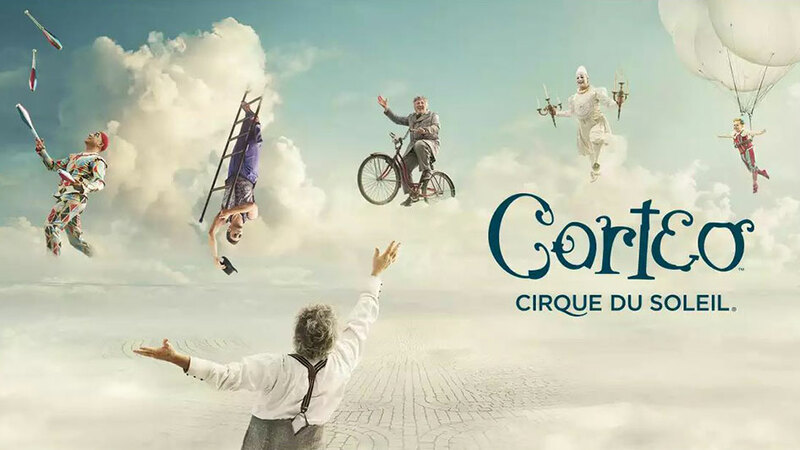 While not reminiscent of your typical Cirque du Soleil show, Corteo portrays a real homage to the traditional Circus. The show isn’t in LA for much time, guests should check it while they can.